Granola is an excellent anytime food. It's a healthy breakfast, an easy snack, and a delicious dessert. Unfortunately, it can be expensive to buy, and it can take a long time to make. If you're anything like me, you always run out of granola when you need it most. My solution? 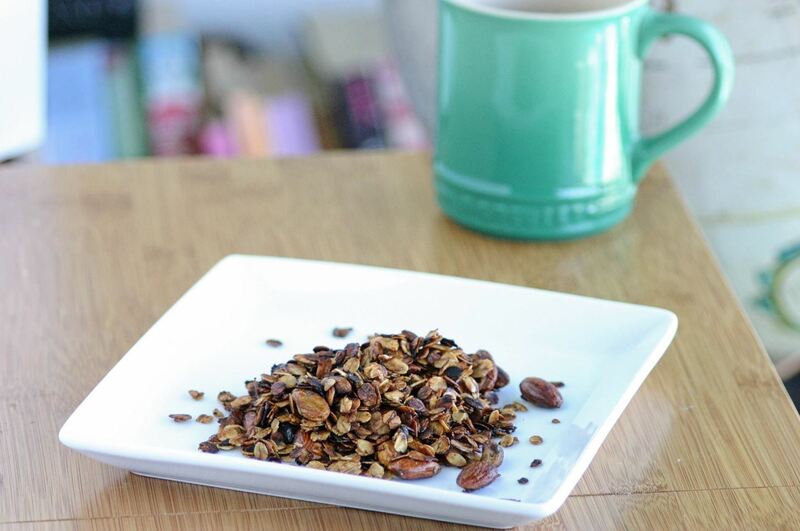 Five-minute stovetop granola. It's as good as oven-baked granola and ten times as fast. 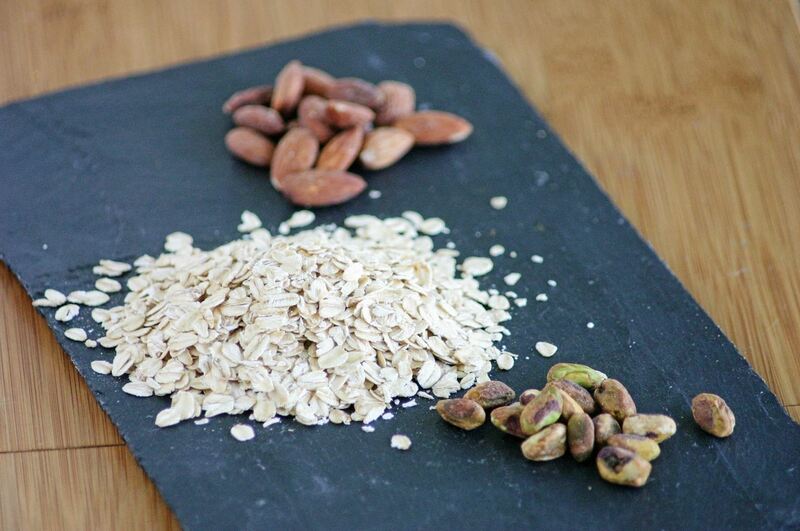 Combine your rolled oats with your nuts. Heat a pan on medium-high heat, and add the butter (if you prefer you can add olive oil or coconut oil). When the pan is hot, add the nuts and oats, and cook for a few minutes until they are toasted (they will turn slightly brown and you will begin to smell them). When the oats and nuts are toasted, add the salt and honey, and keep cooking. You can substitute agave, maple syrup, or brown sugar for the honey. Next, stir in the the cinnamon. You can also add any other seasonings you want here, such as ground nutmeg or ginger. Stir all the ingredients together, and cook for one minute. Remove the granola from the pan, and let it rest until it is cool (this will help it crisp up). Add the fruit or coconut (or any other additions you would like, such as chia seeds or flax seeds), and mix up your granola. Then just eat and enjoy! 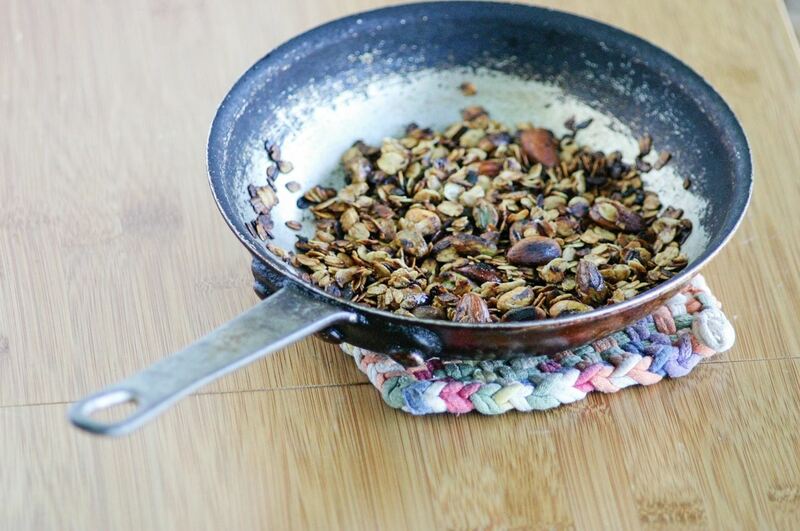 If you make a large batch of this granola, you can store it in an airtight container for a few months. But if you're anything like me, it won't last nearly that long.